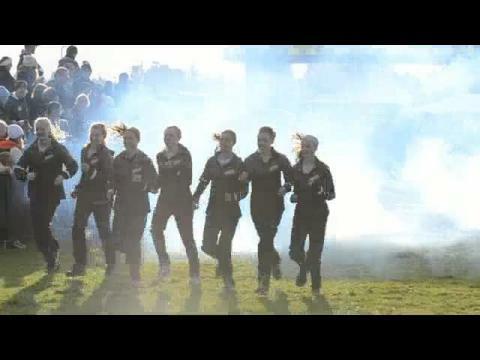 The girls of Fayetteville-Manlius (N.Y.), known as Manlius XC here, came into Saturday’s Nike Cross Nationals girls’ championship race in Portland with six consecutive titles under their belt. Yet, there were questions. F-M had, at the Eastern States Championships in October, been beaten for the first time in any meet in six years (by Tatnall DE) – though F-M had been without its #1 Jillian Fanning. 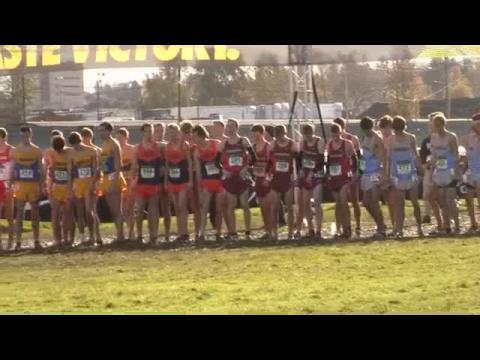 Would they finally relinquish the NXN crown? Who would beat them? If you see Nick Ryan going out hard Saturday during the Nike Cross Nationals Boys Championship race at Portland Meadows, perhaps grabbing a sizable lead in the first mile, you best not let him go this time. Oakwood's Mary Kate Vaughn, despite being stuck in the mud and falling at the start of the NXN girl's race, plodded her way through the mud and water, working her way up to a 27th place finish in a time of 20:21. As a Freshman, she has continued to improve each and every race and has proven herself to be one of the premier freshman girl's in the nation. It’s fascinating how the history of Nike Cross Nationals has evolved in terms of comparing the girls’ and boys’ championships. With the girls, you had a program in Fayetteville-Manlius which has won six titles in a row -- not to mention another in the same state, Saratoga Springs, which has claimed three consecutive runner-up finishes. For the boys, however, there has not only never been a repeat champion, but no club has won two titles overall in the 8-year history of the event. Eight different NXN boys’ championships, eight different winners. 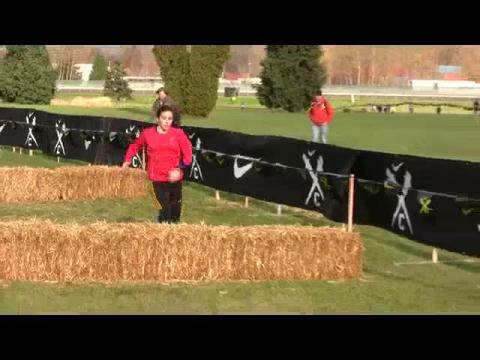 Tippacanoe's Sam Wharton surprised everyone at the Nike Cross Nationals by winning in a time of 17:06. On the podium in Portland he quipped, “I set a record: the slowest winner ever!” However, on a course that he described as "absolutely ugly," he was the strongest and the smartest, adding to the "legacy" he is establishing as one of the best Cross Country runners in Ohio high school history. 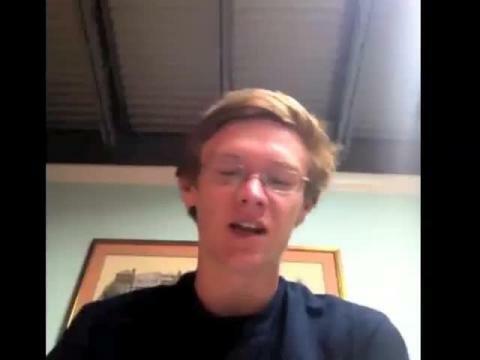 Lexington's Zack Langston recaps his Nike Cross Nationals experience and looks at the future. 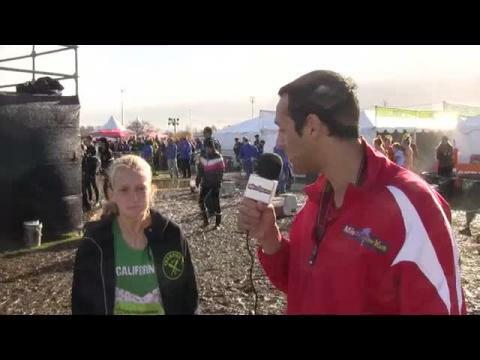 Kyle Brazeil talks with Mary Cain about NXN and her new coach. Late in the NXR-SW race, Jordan Cross, Luis Martinez (partially hidden), Michael Finch, Jake Heslington, and Andy Trouard strained toward nailing down a bid to Nike Cross Nationals. Photo by Alan Versaw. Mason Senior Lauren Woods took advantage of the opportunity to run in the NXN Championships. Her overall Senior XC season was more than she hoped for, and she accomplished more than she thought was possible, breaking 18 minutes, getting 4th in the State D1 girls' race and running 65th in the NXN Championships. She is now looking forward to the upcoming track season. 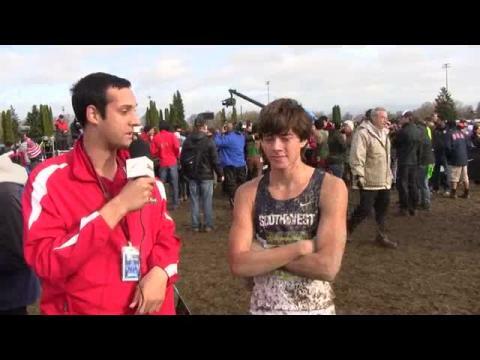 NXN 2012 was crammed full of experiences impossible to get anywhere else, including the impossibly muddy course. Chuck Medley is the Head Coach at St. Xavier High School in Louisville, Kentucky. His senior heavy team won the Nike Cross Nationals Southeast Regional last Saturday in North Carolina. They won the top meets in Kentucky (Trinity Invitational) and Illinois (Palatine Invitational.) They were also Runner-Ups at the nationally renowned Great American Cross Country Festival in North Carolina. 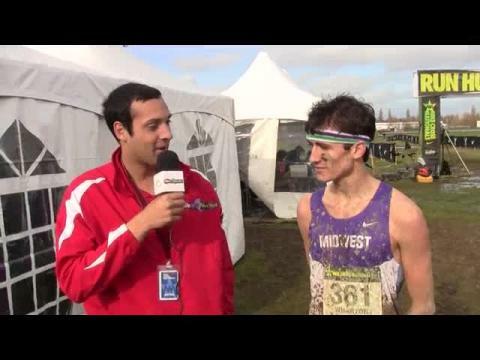 Below he answers questions about this weekend's Nike Cross Nationals Race in Portland, Oregon. One message has shown through in the last five weeks. Whether you put Elise Cranny, Heather Bates, and Katie Rainsberger on hills, in mud, or on a flat and fast course, they are among the very best in the nation. 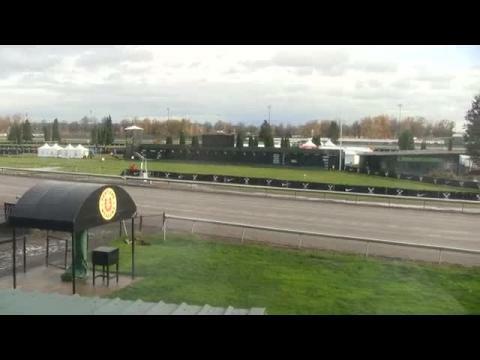 Here, Elise Cranny crosses the NXN finish line in seventh. Photo by Patty Morgan. At the 2012 Nike Cross Nationals, the state of Virginia was represented by a team and a pair of individuals led the defending four-time Group AA state champion Blacksburg boys earning the highest finish ever by a Virginian boys' squad at NXN with a 10th place finish of 257 points to become the first Southeast boys' team qualifier to place among the top 10 in meet history. Jessica talks about her arrival to Portland and first glimpses of the course. 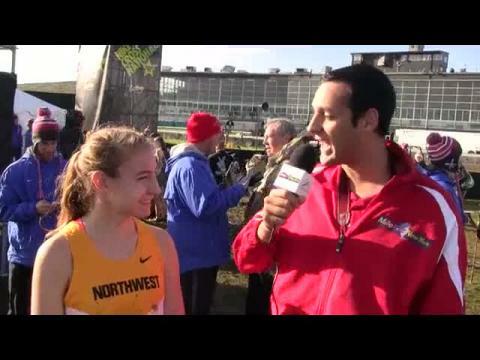 Kyle Brazeil talks to the world-famous coach about his newest protege, Mary Cain. 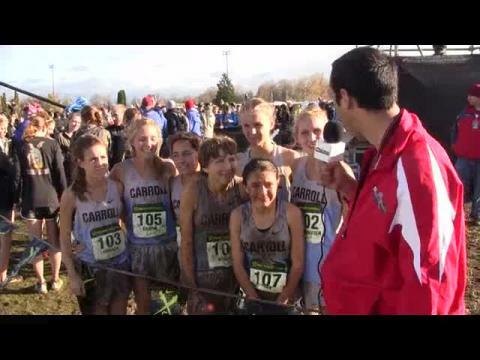 The 7-time NXN girls team champs talk about one of their biggest wins ever. Introductions, then the athlete pen after the race. 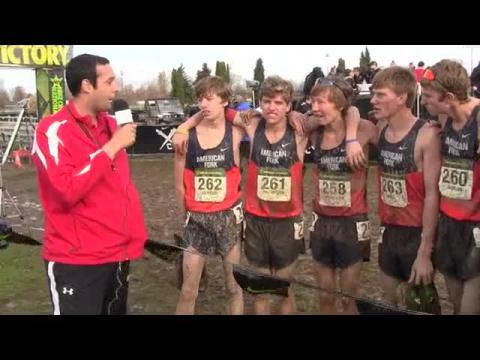 Splattered in mud from head to toe, Connor McMillan crosses the NXN finish line for American Fork. Photo by Patty Morgan. The Tatnall girls placed 6th overall, just 10 points from the podium that they stood on last year. An amazing accomplishment considering all that they have overcome this year, including: a transfer of one of their top runners, and injuries to their two of their top runners in Reagan Anderson and Rebecca Salter. They repped DWare to the fullest! Footage from the introductions and then from the athlete pen after the race. Jessica Molloy recently qualified for NXN as an individual. She has graciously agreed to keep us all informed about what life is like as a Nike Cross Nationals Qualifier. Keep up with her here on her "Road to Portland." 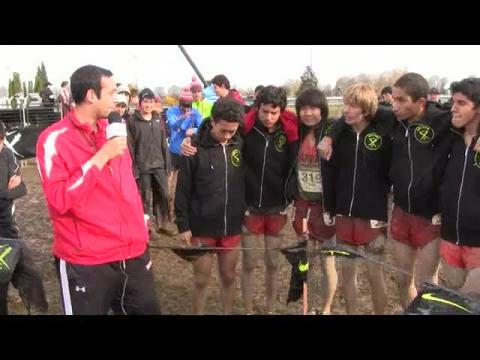 Save for Luis Martinez's spectacular run at NXN, New Mexico rode quietly into the sunset of the 2012 cross country season today. Photo by Patty Morgan.